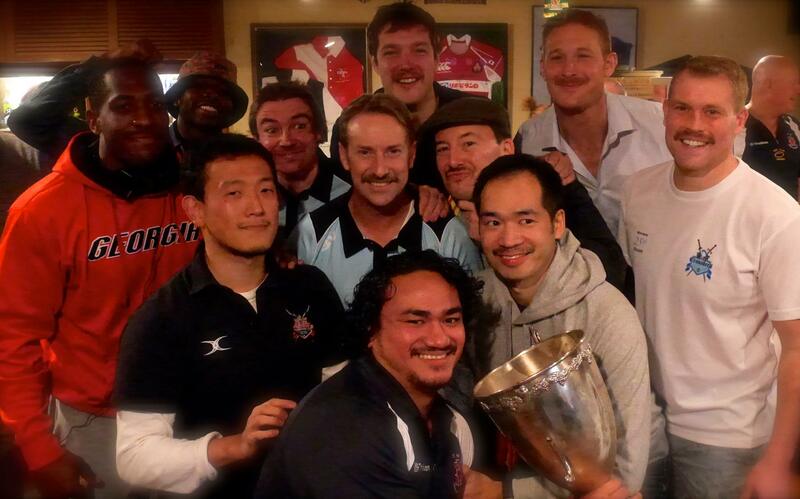 On the 22nd of November, after the YC&AC game, the team retired to the Hard Rock Cafe in Sakuragicho, Yokohama, for our annual ‘Tash Bash’. Most of the players were sporting mous’tashes’ and the ladies donned fake ones, or just drew them on in support. There were 28 in all, and a great night of merriment was had, thanks to our Social Secretary, Frank ( and friend), who did the organising.